James Sydney Stening was born in Sydney and trained as a jeweller. His interest in photography developed during the 1890s and he became a founding member of the Photographic Society of New South Wales (1894) and the Sydney Camera Circle (1916). He was probably the one who made possible Cazneaux’s first solo exhibition at the society in 1909. By 1920 he had ceased to be involved with photographic societies and continued to make images only intermittently. Stening worked almost exclusively in landscape and was known for his skill in bromoil and gum-bichromate techniques. The latter technique, used here, was one favoured by continental photographers, with Robert Demachy its greatest exponent. When a group of gum-bichromate photographs was exhibited at the AGNSW in 1907, the reviewer noted approvingly that they showed ‘what wonderful strides have been made in the art of the camera, when manipulated by an artist, and how closely the modern photographer is getting to pure pictorial representation’.1 Stening’s brushwork additions to this image are visible in the lower half of the print. Photographers in Australia were attempting a tonal representation of the landscape at the same time as highly influential teacher and painter Max Meldrum was teaching his version of tonalism to a generation of Australian painters. The imagery which resulted was not only influenced by stylistic currents deriving from impressionism and art nouveau, but also quasi-scientific theories of the nature of vision popular at the time. 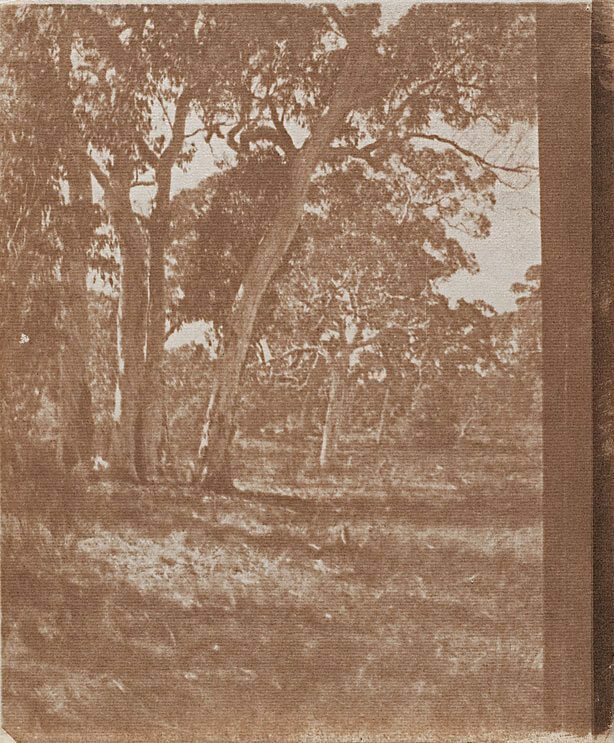 Steven Miller, Photography: Art Gallery of New South Wales Collection , 'Australian pictorialism', pg.71-91, Sydney, 2007, 85 (illus. ).